3 Challenges. 2 Teams. 1 Winner. What happens when you pit two highly trained but very different teams against one another in a battle of skills? Watch the Cat® Crew Challenge to find out. 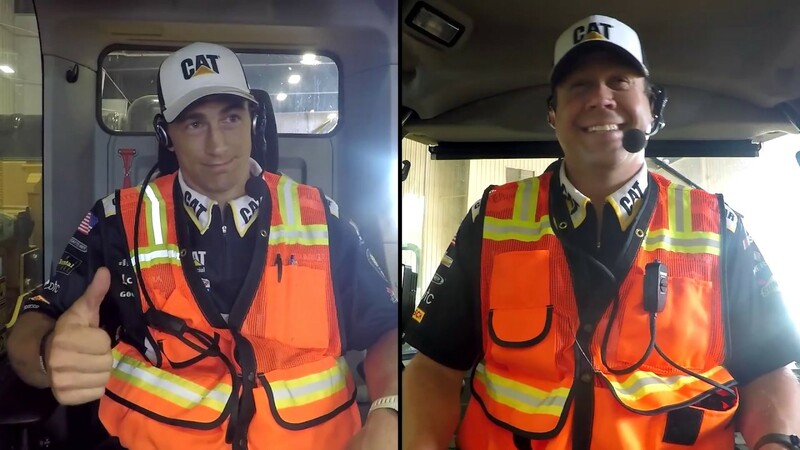 In this best-of-three contest, the Cat Racing Pit Crew and the Cat Machine Training Team go head to head in the pits, in the dirt and on the track. There’s plenty of talent on display, some friendly trash-talking and a photo finish — everything you want from a good competition. But whose skills and training will translate into victory? The answer is anyone’s guess. One thing’s for sure: Each team will walk away with a whole new respect for the other’s abilities. It’s the rubber match of the Cat Crew Challenge and time for the rubber to (literally) hit the road. To break the tie between the Cat Racing Pit Crew and the Cat Machine Training Team, we’ve got two competitors lined up at the start of the tie breaker, waiting for the green flag to fly. Find out who earns a victory lap — will it be the No. 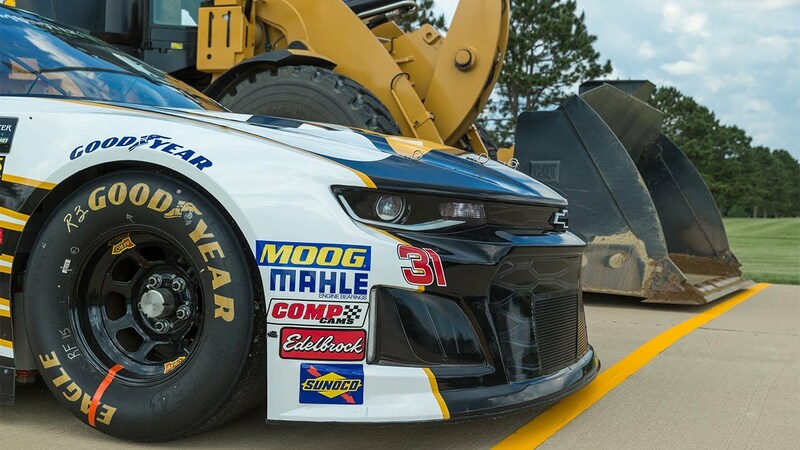 31 Caterpillar Chevrolet Camaro ZL1 or the Cat 938M Wheel Loader? It all comes down to this: Round Three of the Cat Crew Challenge determines our victor. See who crosses the line first in the tie breaker. “Perfect is good enough.” That’s the Cat Machine Training Team’s motto, and they’re eager to show off their earthmoving skills in a tough machine relay: Pushing dirt with a 950M Wheel Loader, digging and loading that dirt with a 336F Hydraulic Excavator, dumping the load with a 790C Articulated Truck, leveling the dirt with a D5K Dozer and flattening the pad with a CS56B Roller. Can the Cat Racing Pit Crew live up to that standard of perfection and maintain the lead in the Cat Crew Challenge? Watch Round Two to find out. The Cat® Crew Challenge is taking the competition to the dirt! Watch Round 2 to see both teams operate Cat machines in a series of timed tasks. On race days, the Cat Racing Pit Crew makes the complicated choreography of a pit stop look easy — jacking up the car, changing all four tires and adding fuel in mere seconds. But is it as simple as it looks? And just how much physical agility does it require? The Cat Machine Training Team is about to find out. See who earns bragging rights in our first challenge: the pit stop. Check out the photo gallery for an up-close look at the teams and the competition. See the team behind the scenes – from the crew chief to the gasman.